20 Nov 2015. More details (pdf). Biological Nurturing workshop training for health professionals is a new service offered by The Nurturing Project. More details. By Suzanne Colson, RM, Ph.D.
Human mothers and babies are amazingly versatile able to breastfeed in many different positions. With years of clinical, personal and research experience, Suzanne Colson uses research data to interpret breastfeeding behaviors in their natural habitat… mother’s body. She validates maternal breastfeeding instincts and supports what mothers who enjoy breastfeeding have always known. 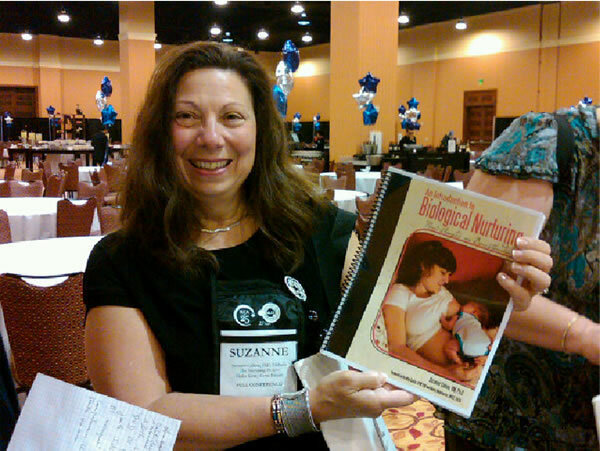 Suzanne dares to let the breastfeeding relationship develop and evolve on an individual basis breaking all the rules of waking a baby to feed and liberating mothers from prescriptive positions. This book restores confidence in nature’s biological design and in mothers’ innate capacity to breastfeed. It is an important milestone in our understanding of how mothers and babies develop the capacity to breastfeed. Buy your copy from our shop here.